Great photograph.I'm an admirer of detail without fuss. 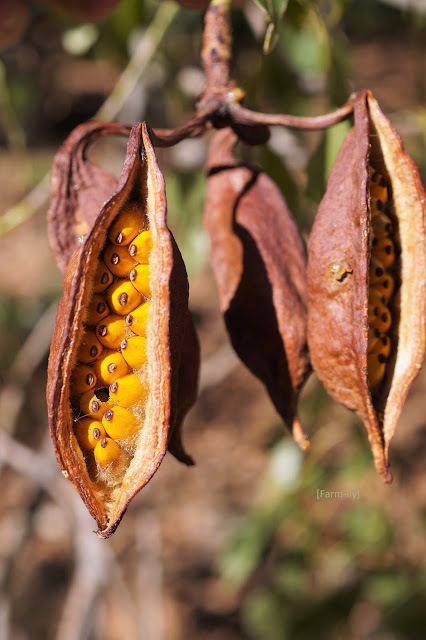 Kurrajong seeds may not draw the gasps of delight that brilliant sunsets can but for my money this is a calendar entrant. They are something to see... wild. This photo made me feel happy seeing all the little seeds nestled there. Kurrajong trees.... One of my first memories of the first tree I knew. ..
Oh, I so like this shot...love those seedpods. I have never heard of this plant before. It may be a legume but not sure.